Huntington Ingalls Industries Inc, which builds aircraft carriers and U.S. Navy warships, on Tuesday said it was keen to bid to build new icebreakers for the U.S. Coast Guard, after President Barack Obama pushed for quicker work on the program. The company's Ingalls shipbuilding unit, based in Pascagoula, Mississippi, built the newest U.S. icebreaker in the U.S. fleet, the USCG Healy, which was delivered in November 1999. 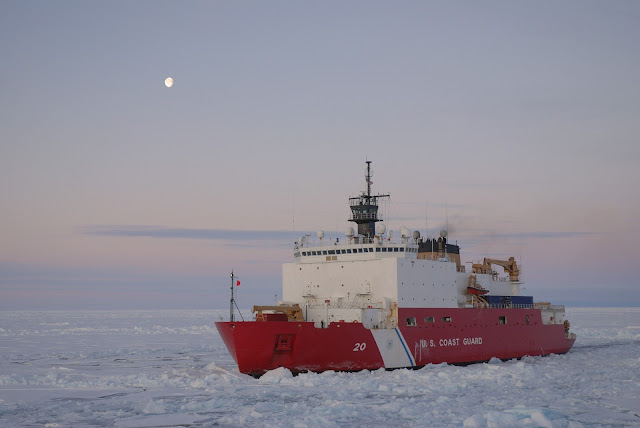 Huntington Ingalls spokesman Bill Glenn said his company had responded to a request for information from the Coast Guard on icebreaker design and construction in January as the service began developing a formal acquisition plan for the program.